If you are looking for who the winner of November Freebie challenge is, click HERE. Thanks! 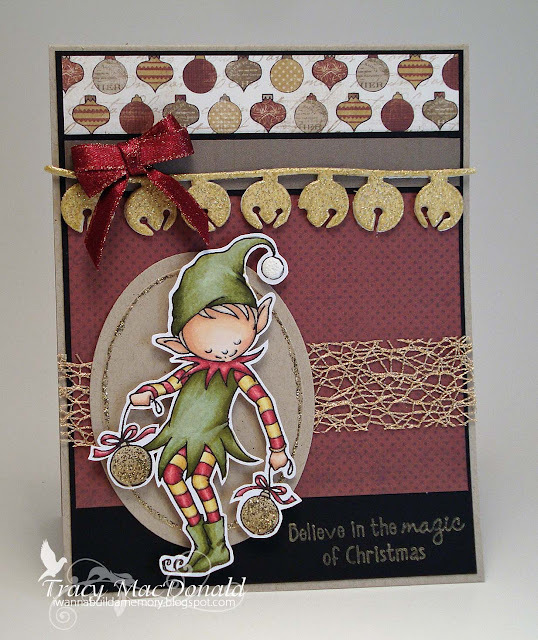 My TSG teammate Tracy created a gorgeous Christmas card with Christmas Elf. Her coloring always amazes me, and this is no exception. Those gold embellishments are just beautiful! Thanks you for sharing, Tracy! I'm looking forward to seeing your card using Happy Santa set. Hee hee.